Energy Based Amino Acid Coctail! 2:1:1 BCAA Ratio Which Also Includes Beta Alanine And Some Ingredients Used To Give Your Body The Extra Energy You Need! 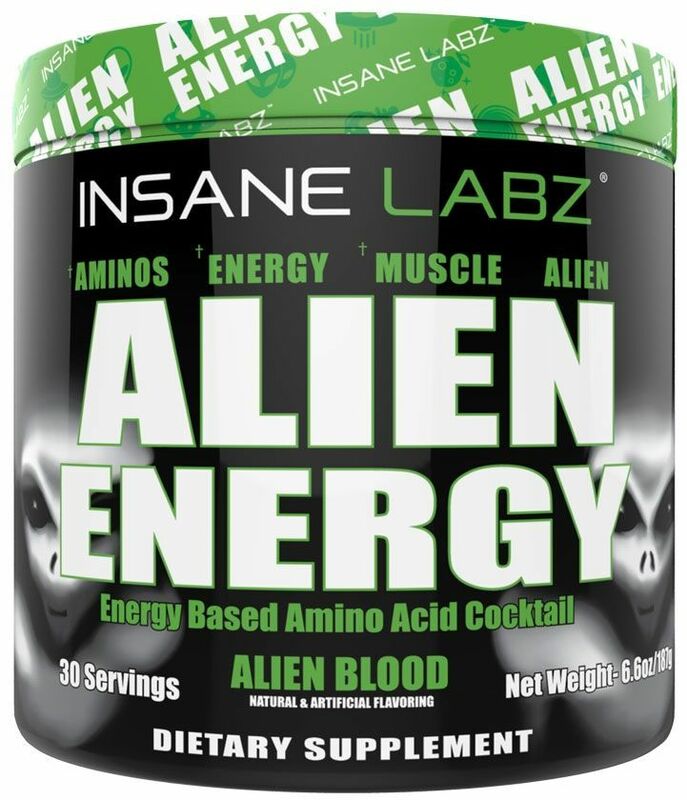 Insane Labz has just created the best Amino Acid Energy combo in the universe. Alien Energy not only has a 2:1:1 BCAA ratio but also includes Beta Alanine and some ingredients used to give your body the extra energy you need to make it through the day. 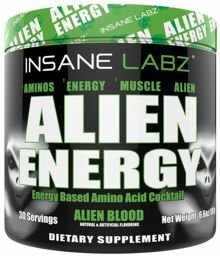 Alien Energy is the best tasting product in its category and the Alien Blood flavor is a must try! Alien Energy is great stacked with our top selling Amino Acid product Alien Recovery so make sure to buy them as a combo. Be one with the Aliens and take your game to the next level.